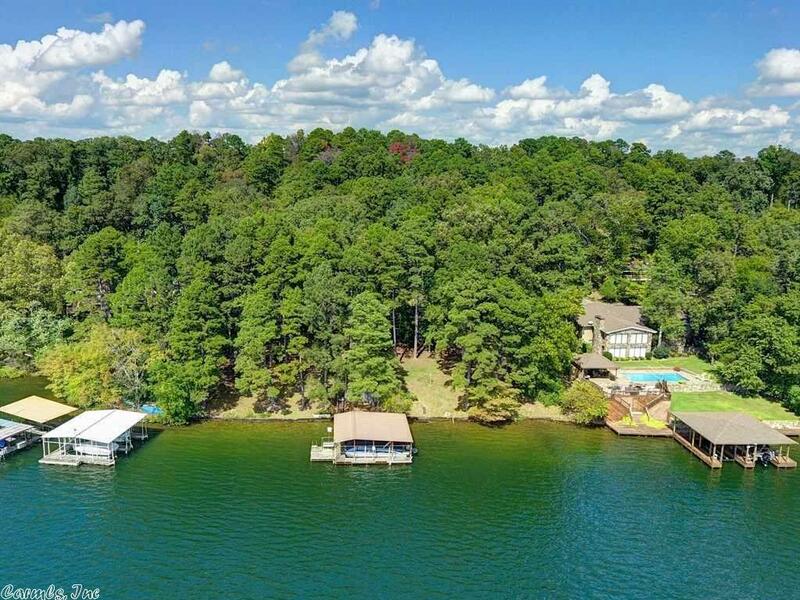 1.5 Acres with 200' on Lake Hamilton. Awesome Southerly Exposure. Panoramic Views of Lake and Mountains From Any Place on the Property or in One of the Two Wonderful Homes. One Home Has 3BR/2B, Knotty Pine Walls and Massive Stone Fireplace! The Other Home Built in 2004 is DARLING! Both Have Great Kitchens and Did I Say INCREDIBLE VIEWS? Wonderful Screened Porch and Outdoor Entertainment Areas. Double Boat Dock, Deep Water. Perfect Property for 2 Families or Exquisite Spot for Lake Estate/Compound. "A Trusted Name in Real Estate"